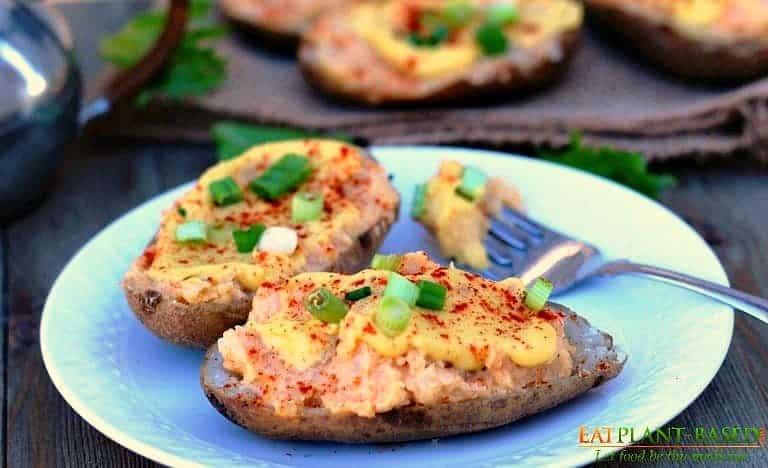 These vegan loaded twice baked potatoes are the perfect snack or appetizer for family and social gatherings or game day. This is a healthy mouthwatering version. Not only are they a beautiful display, they taste AMAZING! Beautiful table display and delicious! Most of us are used to the traditional twice baked potato that starts out healthy…until it’s pulled out of the oven and loaded up with artery-clogging butter, sour cream, and cheese. Thankfully, there IS a better way that tastes just as good! Potatoes are loaded with only 1/2 gram of fat. 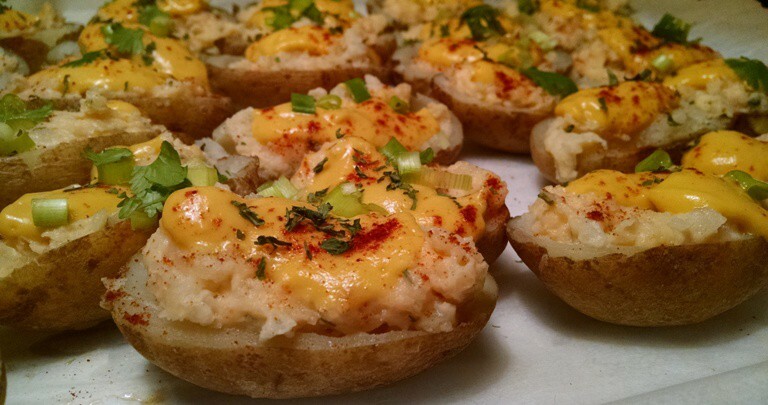 Start with lowly, inconspicuous potatoes and turn them into masterpieces. Simply bake and get ready to dazzle friends and family at social gatherings. 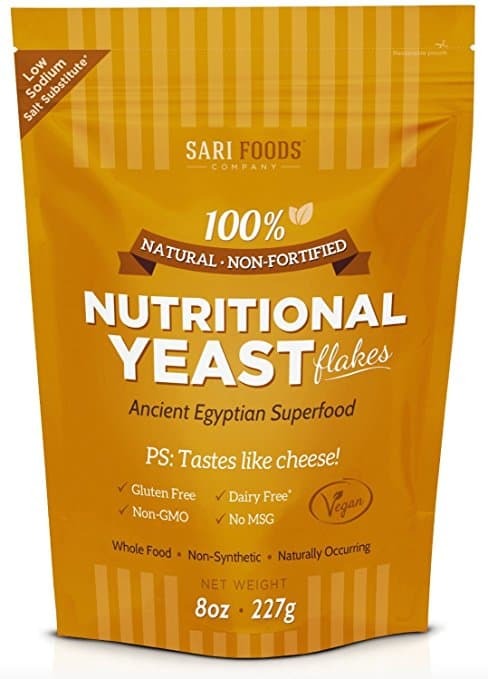 After baking, scoop out the inside, just like usual, but this recipe calls for healthy ingredients–like low-fat eggless mayo, onion, garlic powder, smoked paprika, and creamy vegan cheese sauce–to be added in. The Easy Vegan Mayonnaise is a key ingredient in this recipe. It takes only about 3-minutes and a blender to make and taste amazing. We use it on sandwiches and in other recipes like cole slaw and potato salad. 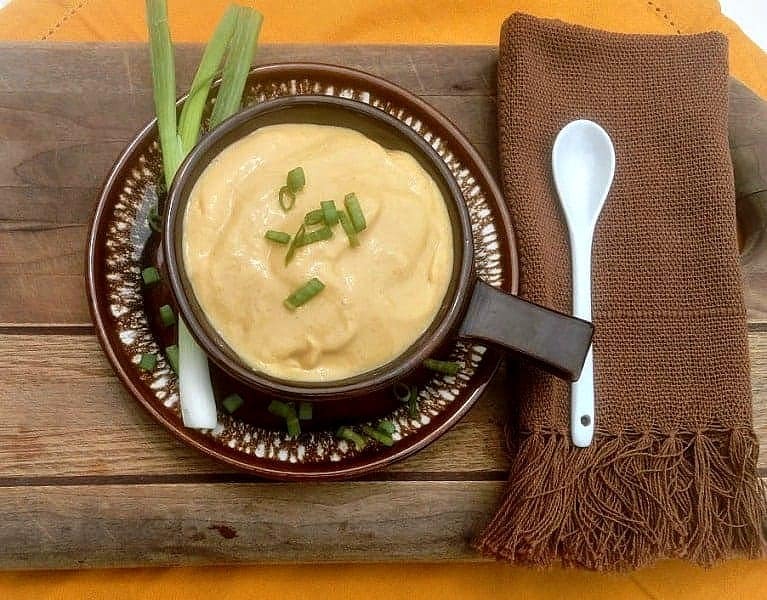 Vegan low-fat mayonnaise recipe. Click photo to see full mayo recipe. 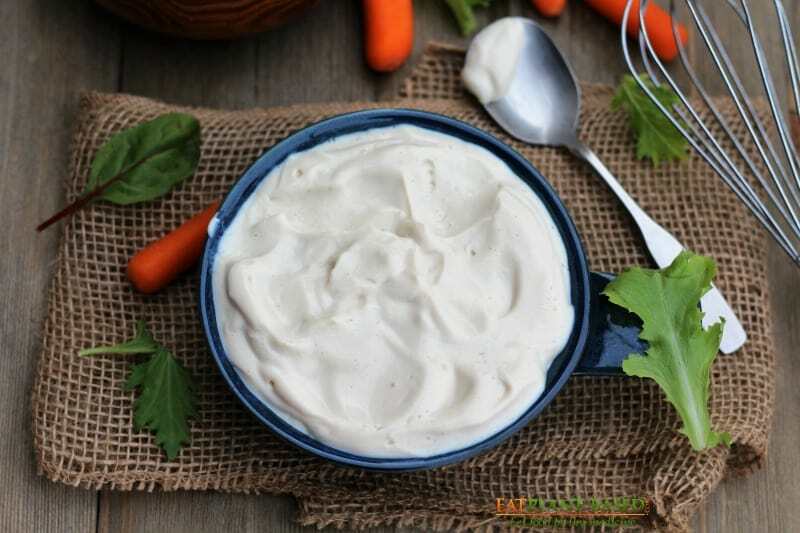 This tasty, eggless mayo has only 11 calories and (.4) grams of fat per Tablespoon. And it’s loaded with protein! 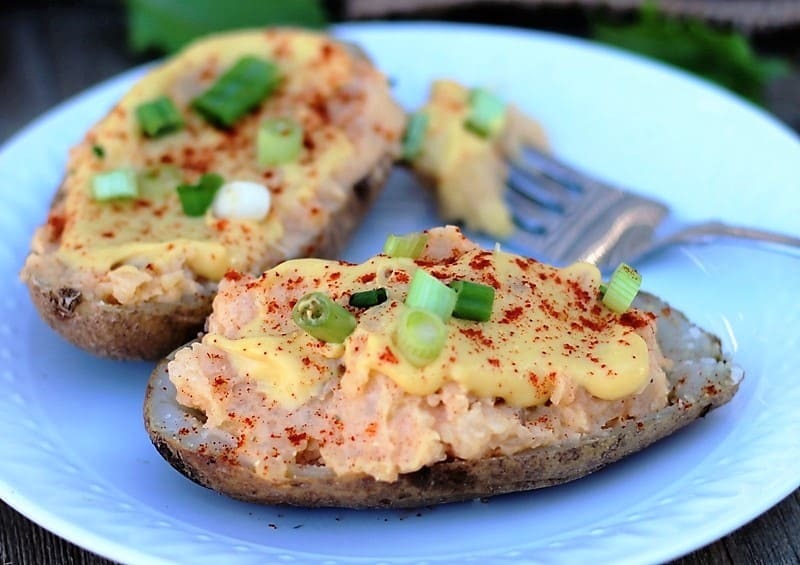 A healthy mouth-watering vegan snack version of a traditional loaded potato. These are drizzled with vegan cheese sauce, sprinkled with smoked paprika, and piled high with chives and cilantro. Completely irresistible! 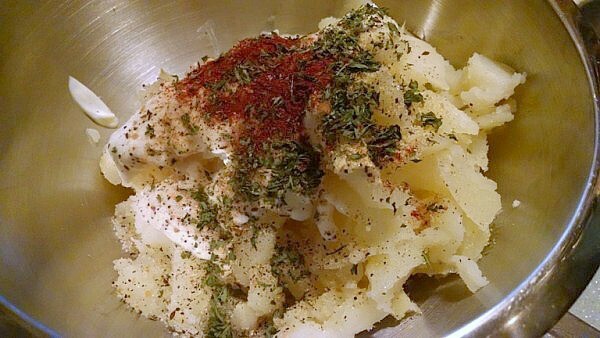 When I take this vegan potato recipe to family gatherings or social functions, they disappear like magic! Not that long ago, I made 48 of them, thinking that we would have plenty. It STILL wasn’t enough! Obviously, some folks were coming back for seconds! All potatoes contain a variety of B vitamins, including thiamine, niacin, riboflavin, folate and B-6. These vitamins help keep you healthy by powering your metabolism and pulling energy out of the foods you eat. You’ll also get roughly 10 percent of your daily vitamin C requirement. Vitamin C boosts your immune system and blocks free radicals that try to damage cells. All potatoes have a small amount of vitamin A, which preserves your eye health and vision. These vegan twice baked potatoes are the perfect appetizer for your family and social gatherings or game day. This is a healthy mouthwatering version drizzled with Creamy Vegan Cheese sauce, sprinkled with smoked paprika, and piled high with chives, and cilantro. Completely irresistible! 1/4-1/2 cup plant-based milk, almond, soy, etc. Preheat oven to 400 degrees and bake whole small potatoes until tender, approximately 30 minutes, depending on size of little potatoes. 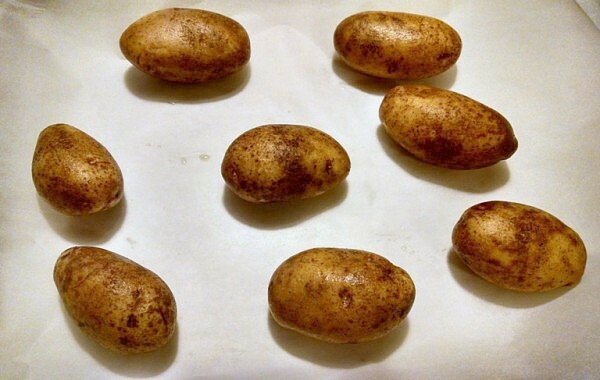 Remove potatoes from oven and allow to cool. 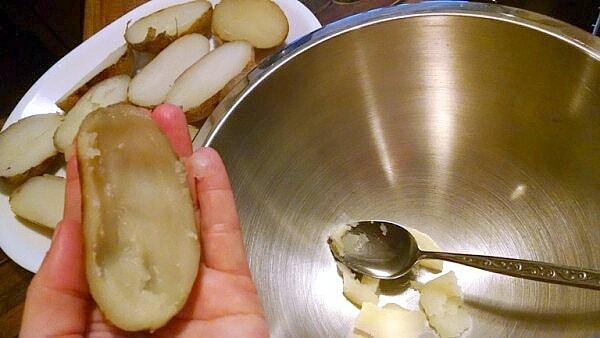 Slice potatoes in half, scoop out pulp leaving 1/4" in shell. Place pulp in a medium bowl. 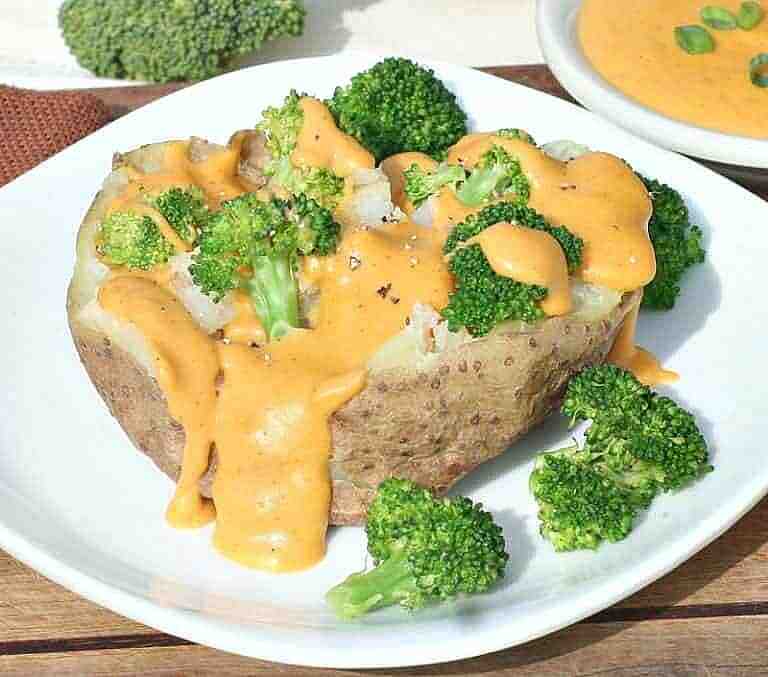 Add plant-based milk, low-fat mayo, salt, pepper, garlic powder, onion powder, and smoked paprika to potato in bowl and mash together using a potato masher or fork. 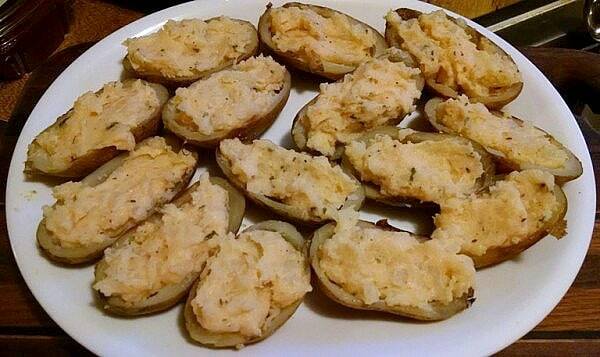 Fill potato skins with mashed potato mixture. Drizzle with Creamy Vegan Cheese sauce, then top with more smoked paprika, chives, and cilantro. Place back into the oven at 350 degrees for approximately 10 minutes to heat up and serve warm. Drain tofu and squeeze excess water out on paper towels. Blend all ingredients in blender. Leftover mayo can be used on sandwiches, wraps, and in other sauces. Store in refrigerator for up to 2 weeks. Now, it's ready to use as a Loaded Potato Skins topping, nacho cheese dip, mac-n-cheese, topping for steamed broccoli, or anything else you need a creamy, cheesy sauce in. It makes approximately 1 quart and can be stored in the refrigerator up to 2 weeks. This is a crowd-pleaser recipe. Hi Terri, for the mayo how many ounces should be in the container of tofu? Is it firm tofu, extra firm? 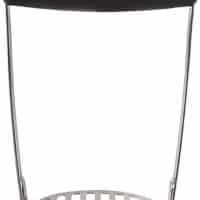 Betsy, I use silken tofu, usually the shelf-stable kind because it is so smooth for mayo, sauces, and mousses. The container I have is 12.3 oz, but small variations in size will work just fine too. Have you read the ingredients on the shelf-stable tofu lately? It now contains soy protein isolate, not good! Better to use regular refrigerated tofu that is pure soy beans, water, and a coagulant, nothing else. I have not tried freezing these. If you do, I would love to hear how they turn out. Is there another type recipe for mayo….that doesn’t use tofu? Even my meat eaters loved these!!!! !